Buyers of processing and packaging products will now have an expanded opportunity to meet more suppliers as two mega events are taking place in Asia in June 2019. ProPak Asia will open its door at BITEC, Bangkok, Thailand from 12 to 15 June 2019. 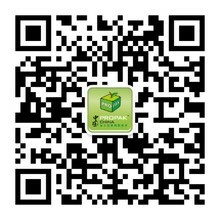 And ProPak China will be held at NECC, Shanghai, China from 19 to 21 June 2019. By making a trip to two Asian cities, you can source a wider range of processing and packaging solutions and network with industry professionals across the whole supply chain.